We have Cupcakes for your dogs! 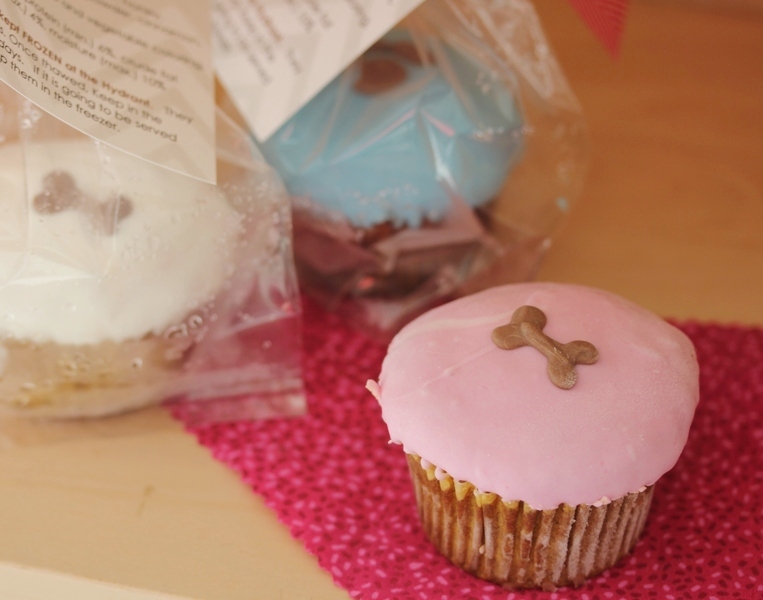 Don’t forget about your furry friends on their birthdays… we have Cupcakes just for them! Available in pink and blue, our cupcakes are made with the best organic ingredients. A layer of yogurt “frosting” coats this moist, soft cupcake made of peanut butter and carrot. It’s an irresistible combination for any pup! Not your pet’s birthday? No worries. You don’t need an excuse to have fun. Any day is a perfect day for a cupcake! Ingredients include organic carrots, organic oat flour, honey, peanut butter, and eggs.